I hope you were able to take advantage of today's $5 off $25 coupon at Walgreens. If not, the deals are still good through Saturday. But I would suggest calling ahead to see if your store still has the Vaseline lotion and Gillette razors. My store ran out of both. A truck may refresh their stock during the week, so you never know. I did this deal twice and got two $5 RR coupons. Total was $21.54, got $19.50 RRs back! I heard that if you buy 3 Theraflu, you get $8 RR. Total was $1, got $8 RRs back! I had a lot of RRs left so I headed to Publix and used them up! Mc Donald's Sorrento Grand Opening Friday! On Friday,Oct. 2 from 5am-9am, stop by to see Cat Country's booth. Spin the wheel for a chance to win: an iPod, Digital Camera, GPS System, $100 Arch Card, and more! Meet Ronald Mc Donald. First 30 kids (under 9 yrs) get a FREE Collector Plate for Ronald to autograph. Friday Oct. 16 FREE Fry Day! One small fries per customer, no other purchase required. This week and possibly next week, Publix has Earth's Best baby food jars BOGO $0.99. There is a $1 off 10 in the One Store One Stop Publix booklet or here (print limit 3). Not bad for organic baby food! Make your purchase by Sept 30, Weds. Postmark by Oct 7. The baby food jars are NOT included! *not valid on Earth’s Best jarred or other infant foods. Right now, you can use this $5 off $25 from CVS or Walgreens to bring your cost down. 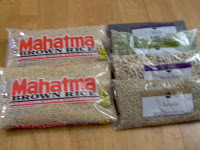 There is also a $0.55 coupon for Earth's Best Sesame products in the One Stop One Store booklet. This Sunday, we ended up leaving Church promptly after service. Hubby was feeling ill. But bless his heart, he still wanted to stop by CVS! It wouldn't be quite Sunday without a short CVS stop. Since the scenario I made for the PG deal required some coupons from the Sunday paper, I needed to buy it there. But unfortunately, the newspaper man has been late in his delivery and, alas, no papers! So, I did the candy-DVD deal instead. You can also purchase Coke products for this deal, too. However, if you are planning to stock-up on Halloween candy, buy the ones pictured in the sales ad. I bought a different bag (within the same size restriction) priced at $8.99. No coupon printed afterwards. Before you know it, the store manager was already giving me the refund and made the coupon print. Thanks Toni! These gals are always so helpful. A cashier told me that her house isn't well-visited by trick-or-treaters. If yours is the same case, consider donating to Halloween alternatives like Trunk-or-Treat and Fall Festivals. My kids love going to these. And we always feel safer getting candy there since our neighborhood is only so-so when it comes to safety. I hope you all plan to shop Walgreens this week. I haven't seen this many Free-After-Register-Rewards Deals in a long time. To make it even better, you can use this $5 off $25 tomorrow and Wednesday. Thanks Hip to Save! I went today, just in case they run out. They were well stocked at the Mobile Hwy Walgreens across from Publix (except for the Halls Refresh). If you are worried about forgetting to use up your Register Rewards, this store is the better spot to shop. After shopping here for toiletries, you can go right across to Publix and use your RRs for groceries. I plan to do some more shopping tomorrow too since there are also a few other Publix deals I want to take advantage of before Wednesday, when the ad changes. In the meantime, here is a nice scenario using your $5 off $25. The stipulation is that your total must be $25 AFTER coupons. But that is ok since all the products will yield Register Rewards and will likely be free anyway. Pay $20.75 out-of-pocket. Get $29 Register Rewards! That's $8 extra money you'll make! My husband used to work for Comcast (a cable company). They had a promotion to get as many addresses of satellite dish users. You didn't need to sign-up them up, Comcast just wanted their address so they could send them marketing materials to get them to switch to cable. We would spend an hour three times a week driving around the city getting addresses. Comcast gave my husband $5 per eligible address. Once, we drove through the projects right next to the prison. I think that was the fastest I ever wrote in a moving vehicle! 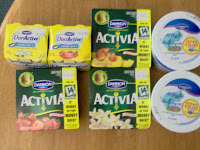 Are you a Dannon Activia fan? We are. Next time you purchase Dannon Activia, Yoplait wants you to send them the Activia UPC code and your receipt. Send this form too. They want you to switch to Yo Plus. They will send you a coupon for FREE Yo Plus! 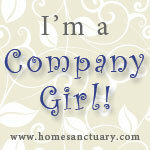 You can also print a $1 coupon from the same page or here. When you get your coupon, make sure you buy the Yo Plus with the pink lids. These are eligible for Save Lids to Save Lives. So you'll be able to donate $0.10 per lid or $0.40 total from something that cost you $0! That is real frugality at work. Last week I had an amazing time in the kitchen. 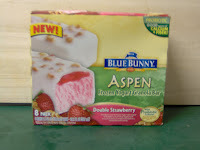 Once a Month Mom offers great freezer recipes. I made almost all of them. Now our freezer is stock full of prepared food! It was a lot of hard work to get all the prepwork done. Plus we had homeschool co-op in the morning of cooking day. I was so ready to get the cooking done that I forgot I wasn't even going to be home the whole morning! But it worked out since I needed some break to be off my feet for a while anyway. We also still have a ton of cereal, breakfast bars, and frozen waffles. Not to mention boxes of crackers and bread. 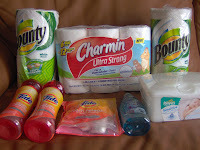 If you are able to stock-up on items like these, I suggest you do. It really pays off, especially when you get hungry before meals but don't want to ruin your appetite. If you like to menu plan or want some great ideas, check out Menu Plan Monday at Org Junkie! The ones with (*) are found in September's Once A Month Mom. Remember that Target now price-matches brand name items. Wal-Mart can price-match this too and store brands and most produce and meats. These deals are good through Tuesday. Remember you can price-match at Wal-Mart and Target (for brand name items only). Last year, we came to this event and had such fun. The kids got to paint a Jet Plane with their handprints. Go to the NAS Museum today from 10 a.m. to 2 p.m. Seems like Pensacola is the place to be this weekend. Enjoy a break from the rain and head over to the Family Expo. Event is today from 9am-3pm at the Fairgrounds. Enjoy martial arts and gymnastics demonstrations. *This is a great activity we did last year. The kids had a blast with face painting and a visit with Curious George and the Man in The Yellow Hat. And FREE memberships to Get Healthy Pensacola. Plus they gave out FREE bike helmets. I'm not sure if that is the same for this year. We also saw Richard Simmons! He did an awesome job and gave an invitation to receive Christ. It's not as jammed pack this year but it would still be a nice family outing. Celebrate WILDFest at the Wildlife Sanctuary today from 12pm-3:30pm. See the Mullet Wrapper article about it here. Get directions from here. Supply Drive Items include tissues, paper towels, laundry soap, fresh fruit and veggies, science diet kitten growth and puppy growth, Purina puppy chow, Cheerios, animal crackers, ceramic pet bowls, fresh or frozen fish, pecans or peanuts shelled or unshelled, baby blankets, grocery gift cards, first class stamps and monetary gifts are welcome. The Wildlife Sanctuary is AMAZING! They are a hospital for injured wild animals. The animals are then released back into the wild when they are better. But if it is not possible to release them, they stay in the sanctuary. 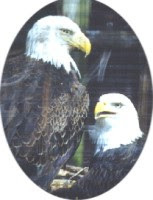 Some animals we've seen there are bald eagles, grey foxes, owls, hawks, turkey vultures and more. The pelican station is an open pond for injured pelicans. And they can just fly away when they are better. If you have not been there you definitely want to stop by today. They are also open during the week. But it is only during these Open House events are the public allowed to feed the pelicans and hold some baby animals. Today is the Wet and Wild Festival at Big Lagoon from 8am to 5pm. Go here for the schedule of events. Scroll down here to get directions. Admission into the park is free for the festival. There will only be a charge for the carnival, food concessions, shirt sales and private rentals. The private rental would most likely be a kayak. The contact number for information on the event is 850-982-8266. These deals and others are good through Tuesday and are listed here.Barnes has Split Chicken breast on sale for $0.98/lb. But at Publix, they had the same price for theirs (clearance sale). So each package around $4. The Smithfield bacon was $1 after using $3 coupon from here. And Cascade rinse is FREE with a coupon from the mail. The Goldfish and Philly cheese is part of their 10 for $10 deal. They have Honey Graham Goldfish! We bought 2 more but those were gobbled up already. 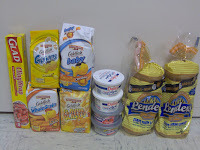 The bagels are 2/$2.20 and Daisy Sour cream are 2/$1.29 and part of the BOGO sales. All this for $0.22! 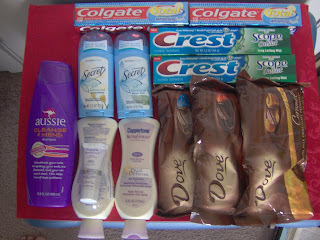 I used coupons above & $5 Walgreens Register Rewards! And 2 FREE Bounty Rolls! This next picture shows foods on sale. 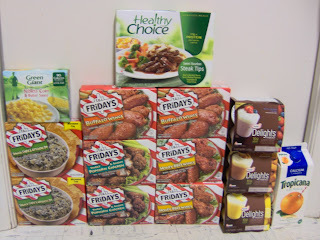 I used this booklet to get the TGIF frozen foods. I'm not sure if it's still available. But there was $2 off 2 Q there. Because TGIF snacks are BOGO sale (2 for $3.69), it's only $1.69 for 2 or $0.90 each! FREE Tropicana from a mail-in coupon. Thanks I Heart Publix for the great coupon links! I went to two Publix because the Orange Beach Publix and theygave me such a hard time. They no longer want to accept any drugstore coupons because they are not their competitors. Well, I don't think they notice that there are no grocery stores within a 15 mile radius around them. So who do they consider their competitor? I'll have to make some calls tofind out. So I had to go to the one in Pensacola to finish my deals. We're trying to stock-up so this coming week will be minimal shopping for me. Wal-Mart is still the best place to get produce. I price-match the best sales from area stores all at Wal-Mart. Even though Target also price-matches now, it is harder to do for produce. And since ours is a Mini-Super Target, the selection is very limited and you have to price-match even the vegetable brand name. So it is better to stick to Wal-Mart for now. If you prefer to shop elsewhere because you don’t like being at Wal-Mart, produce is usually very cheap at the Grocery Outlet off Fairfield Ave in Pensacola. Just remember they add a surcharge of 10% and only meats and produce are reasonably priced. Other items are expensive, so only perimeter shop. I spent $54.25 on food and 4 Glade products and bought my kids 2 tennis shoes for $9 each. 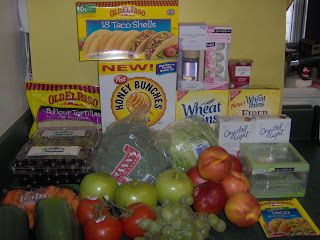 Most of them were price-match items but some were full-price or bought with coupons. 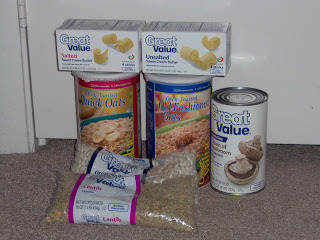 If you want, you can still price-match these food items through Tuesday. If you have not been by CVS this week, you can still take advantage of some deals through Saturday. And at least call or stop by to see if there are still 90% off clearance items available. 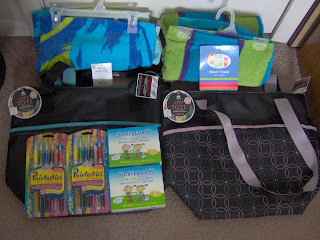 Like these tote bags (really coolers in disguise) for $1.70 each and beach towels for $1.30 each. The paintbrushes are $1.50 each. And though not 90%, the SaniKids wipes are only $0.49 after using the $1 peel-off coupon on the box. The Dove chocolate is oh, so good. And 3 for $10.50, get $5 ECBs. So I ended up paying maybe $4 for everything including tax. But I ended up using all my ECBs! Since I did this Sunday, my receipts have grown legs and walked away. So I'd have to tell you the exact amounts later. But in the meantime, you can visit this post I wrote for the deals this week. And see what you can scrounge up! 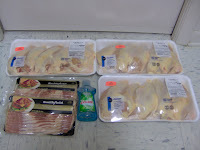 Last night, we stopped by Publix and bought a few things. The total was $9.31. The receipt says we saved $23. So that's a 70% savings! 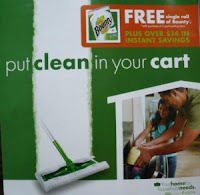 Read my post on deals at Publix here. *We went fishing afterwards. The Orange Beach Publix is down the road from Alabama Point State Park. It was a great time night fishing under the bridge. The water is partly lit up so you can see big fish, bait fish, jellyfish and stingrays. Only very few fish were biting and mostly skipjack. The weather was cool and breezy. Such a relief from the still 90 degree highs that we are getting. It is so important to find time to have fun as a family, even if it is just on the way home from the store! *Yes, I did take 2 peel-off coupons off something I didn't buy. Here is why: It didn't say the coupon was only good for that box or that you had to buy the rice to get $1 off the pasta. And there were plenty of other coupons. So if you do the same, please read it first. You won't get in trouble for taking them but it's nice to be courteous. While there I also saw a few new coupon booklets. 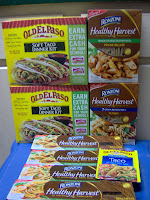 Go here to learn what coupon each booklet has. And also look out for other booklets readers have spotted at Publix. Get this booklet and in the back is $2 off 2 TGIF frozen snacks. This week is BOGO TGIF snacks, 2/$3.79. So only $1.79 with the coupon! -There's also $0.55 off Charmin in the same booklet. Stack with $0.25 off from a magazine. -Pay $3.17 for all 4 items! In the back cover is $1 off All detergent. All Small and Mighty is BOGO this week. So with this coupon it's only $2 a bottle! Plus, check out the $3 off coupons Glade Fragrance Collection in this booklet. Publix has the 3 wick 10 oz candles on sale for $4.99 or $4.50, making them only $1.50 or $2. They're also on sale at Target, Wal-mart and Walgreens. You can go over to MSM to see the Target deals in more detail. And shop through Saturday to take advantage of this deal! 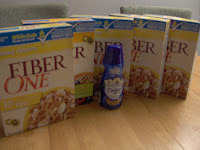 Here is what I got a few days ago: Paid $29.28, got $15 Gift Cards for 10 cereal boxes (all FREE! 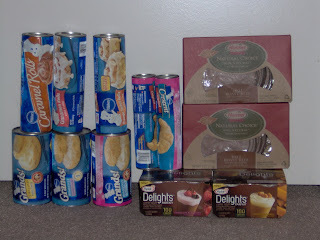 ), 8 yogurt packs/tubs, 1 Creamer, 1 lb beef, mushrooms, glade tin. Remember on Monday, Chick-fil-A gave out FREE sandwiches? My family went to eat there. And I told myself I was not going shopping. But we were right across Target! So I did find enough coupons do one cereal deal but I left most of my coupons at home. Lesson learned: Might as well leave the coupons in the car because you just never know when a good deal will pop up in front of you! Buy 5 Cereal, Get $5 Gift Card. (5 for $12.50) Use $0.75 off here. Print twice. Then use $1 off 2 General Mills cereal from the newspaper. 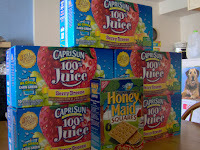 Stack these with 5 Target's store coupon, $1 off General Mills. That's $7.50 in coupons. FREE after $5 Gift Card! 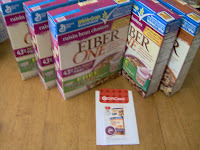 I found BOGO Fiber One Yogurt coupons in some boxes too! Also, the Coffee Creamer was only $0.11 after $1 off coupon. I'm not sure if it is still available. Here is a great deal on Glade Tin Candle Holder. They are on sale at $1.66. There is a $1.50 off coupon inside (sometimes it's been taken). 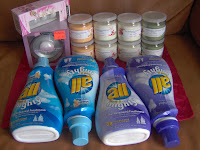 Plus I just found out that you can still get a FREE Refill candles at glade.com or Redplum.com. So for $0.16 you get the tin and 4 extra candles! I also bought 1lb ground beef for $1.50. When meat is on clearance at Target, it's much cheaper than Wal-mart's! 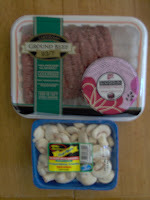 The mushrooms were also on sale at $1.49 for 8 oz. So don't ignore the produce because they also go on sale. We love yogurt here, especially for $1 a package. I used coupons from the newspaper two weeks ago to get all these for $8 (plus another Danactive we drank on the way home). And I'm sending my receipt in to get $3 in coupons back. Go here to learn how you can get up to $15 in Dannon coupons. Nabisco crackers were on sale at Publix for $2 each. So I price-matched them for $2 and used two $1 off coupons from a Nabisco calendar. So after the Gift Card, I paid only$3. Which is still a great deal especially since I finally got to send off that Nabisco Rebate. It turns out you need to buy 10 cookies or crackers, not 5. The nice cashier helping me mentioned she likes Wheat Thins. So I gave her two $1 coupons and told her how to do this same deal I did. I think I made more attempts to share coupons and tips this week. Which is really going out of my comfort zone. all in all, this is a great shopping trip because we eat all this stuff. And after the Gift Cards, it's only $14 for everything! *Note: If you price-match at Target and use this Target Coupon and also this Manuf. Coupon, you can get cereal for $0.25-$0.50! Check out the weekly ad with match-ups from I Heart Publix. These deals are good through tomorrow. Also, check out this Earth's Best Rebate Deal from The Thrifty Mama. Spend $25 on Earth's Best products and get $10 Barnes and Noble Gift Card! I've talked a lot about rebates in the current posts. It's really a matter of discipline to get these processed and out the door. So, if you are not very disciplined and shy away from rebates because you're scared to forget to mail them, don't give up! If I can do it, you can too. And as you've seen, sometimes, I lose receipts and have to redo the rebate. That's ok. It's important to just keep at it anyway. 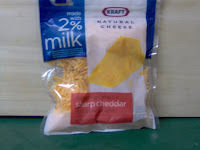 For 2% Natural Cheddar Cheese, however much it costs. Must buy it by Sept 7! Thanks Hip To Save! Kellogg's Fuel For School, Buy 10 & Get $10 back. Sign-up here then click here. Purchase in one tranaction by 9/30/09. You'll need the UPC codes for this. Thanks MSM! 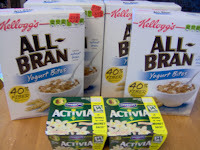 Kellogg's All Bran Strawberry or Yogurt Bites Cereal, $1.98. You have to use a Mail-in-Rebate Form. Up to two per address but you'll need 2 forms. So far I have one. Winn-Dixie or Publix may have some left but not Target and Wal-Mart. If you do the above Fuel For School Rebate and bought cereal with other mail-in promotions on them, look at the info carefully. You might be able to do both. 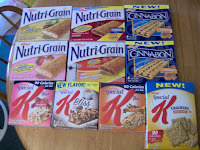 For example, some Kellogg's Special K say "FREE Workout DVD". The form is in box and you collect 5 stamps found on the outside of the box. Cut these out and send for the DVD and then cut the UPCs for the School Rebate. That's what I'm doing. 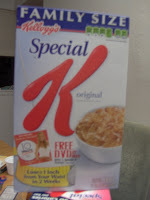 Kelloggs, FREE Movies on specially marked cereal. Collect 5 stamps on boxes. Up to 5 DVDs per address. 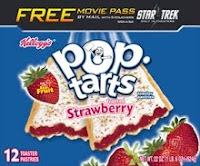 I'm sending in for "A Walk In the Clouds"
*Also, if you decide to buy 10 Pop Tarts for your School Rebate, look for the boxes that say FREE Star Trek Movie. Send in the 10 UPCs to get $10 for the Rebate. Then cut out 10 movie stubs from 10 boxes, and send in for 2 movie tickets! I got 5 FREE Movie Tickets this summer. You can watch any movie you want! And this offer is good through June 30, 2010. 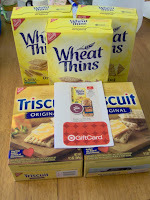 Nabisco-Kraft Rebate, Buy 20 items, Get $20 back. If you sign up for this Coupon booklet, you'll find the Rebate form on page 1. 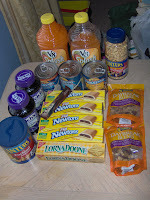 Buy 5 Easy Mac Easy Cups, 5 Drinks (like Capri Sun), 10 Nabisco Cookies (like the Fig Newtons). Special note, cut out all of the UPC codes before someone eats a box of cookies and throws out the box by accident! Hence the Graham Crackers. I spent about $20, so it will all be FREE after the rebate! Penzoil Motor Oil, Get up to $15 back for 5 quarts. I bought 5 for $11 at Target. (Price-matched with KMart's from last week.) I used $4 from the Target Gift Card and will get $5 back from the rebate. So, final cost for 5 is $2! Thanks A Thrifty Mama! 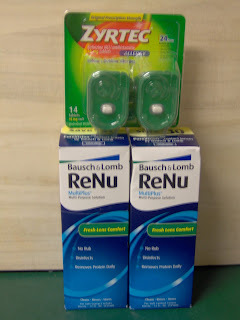 CVS Trip- FREE Renu & Zyrtec, Plus $2 Profit! I didn't realize until late today that Zyrtec and Renu are on sale this past week at CVS. After digging through CVS coupons, I saw that the $25 ReadyFill booklet has coupons for both allergy and eye care products. At the store, I always scan my card at the price scanner to get CVS coupons. To my joy, it gave me $2 off Renu! I had another from last Sunday. So I stacked these store Qs with the $2 print coupons. My husband and I were amazed at these transactions. I never would have thought Zyrtec could be bought for free! Paid $5 Out-Of-Pocket, Got $6 ECB back! Paid $3 Out-Of-Pocket, Got $3 ECB back! Total after ECBs? FREE + $2 Profit! And to think that for years we've used Wal-Mart's Equate brand because it was only $3. This is the first time we bought a name brand contact lens solution. I will definitely keep an eye out for these deals again. Another reason to coupon!